Mosquito Control and Prevention Marietta GA | Call (770) 794-7444 for expert Mosquito Control for your Home or Business. | mosquito protection, mosquito extermination, mosquito control, mosquito treatment programs for your home. 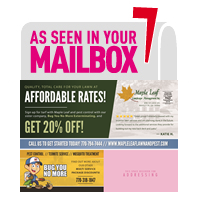 Maple Leaf Lawn Care and Pest Control is a Mosquito Control, Treatment, and Prevention Company serving the North Atlanta communities of Alpharetta, Canton, Cartersville, Chamblee, Douglasville, Holly Springs, Kennesaw, Woodstock, Marietta, Roswell, Sandy Springs, and Smyrna, Georgia. The threat of Mosquito West Nile Virus and other mosquito-borne diseases can affect your family, friends and pets. Your yard and wooded areas is the perfect habitat and breeding ground for these blood suckers. They can ruin your outdoor activities like grilling, lounging, gardening, and playing. 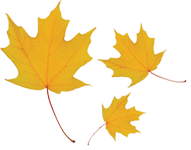 Maple Leaf Lawn Care and Pest Control mosquito programs can address your current problems. We can help break the life cycle by finding and treating where mosquitoes live and breed. Even though mosquitoes can't be totally eliminated, our service has been proven to reduce their numbers greatly so you can enjoy your summer. In addition to constantly annoying you, mosquitoes can bring risks to your health during the warmer months. We review your property and can treat potentially infested sites and other problem areas all Summer long. 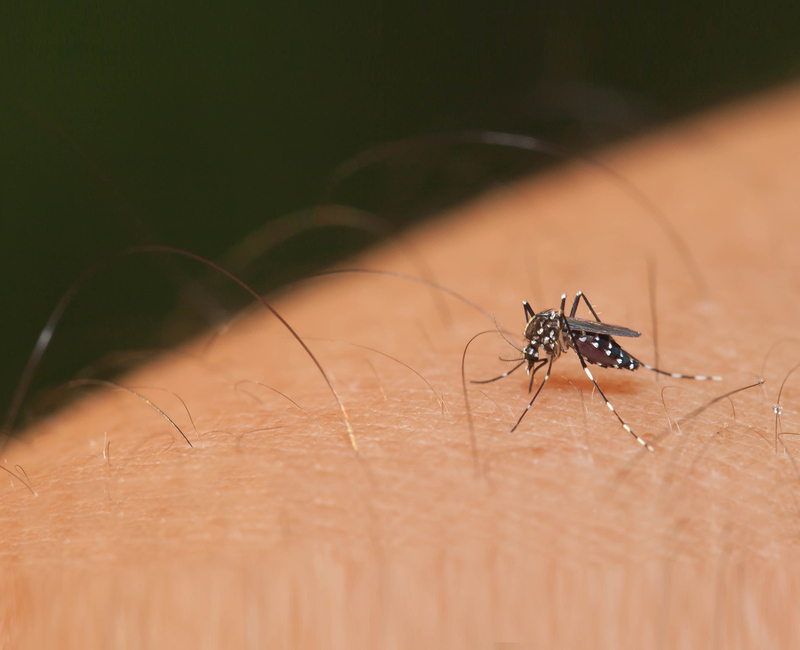 Keeping mosquitoes away is not a one-time event, it's a long process where we are experts. Our mosquito control technicians work every day to deliver affordable and proper solutions, rooted in science, to get control of your yard. Our mosquito technicians are continually trained on the newest and advanced technology available today. We will look for conditions that invite mosquitoes, tackle current infestations, and stop the life cycle to help reduce the number of mosquitoes in your yard. With years of experience, our technicians know how to target and treat your property. If you're not satisfied with the results during the regularly scheduled treatment, we will continue to work to solve your problem until you're satisfied. Call us to discuss our service charges, payment plans, and refund policy. Don't let mosquitoes destroy the peace and tranquility of your home. Call or fill out our Contact Us form for a free inspection. Lawn Care, Turf Care, Yard Maintenance, and Landscaping Acworth 30101, 30102, Alpharetta 30004, 3005, 30009,30022, 30023, Atlanta 30327, 30342, 30319, Braswell 30132, 30153, 30157, Canton 30114, 30115, 30169, Cartersville 30120, 30121, Chamblee 30341, 30319, Douglasville 30133, 30134, 30135, 30122, 30154, Holly Springs 30142, Kennesaw 30144, 30152, 30156, 30160, 31144, Lithia Springs, Marietta 30006, 30007, 30008, 30060, 30061, 30062, 30063, 30064, 30065, 30066, 30067, 30068, 30068, 30090, Powder Springs, Roswell 30075, Sandy Springs 30328, 30350, 30358, Smyrna 20080, 30081, 30082, 30339, White, Woodstock 30188.